BRYAN EATON/Staff photo. 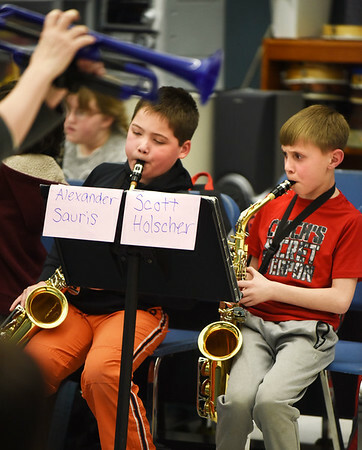 Alexander Sauris, left, and Scott Holscher, both, 9, practice the Star Wars theme song under the direction of Deb Walton in the afterschool beginner's band. They are rehearsing for their upcoming Spring Concert on May 3.